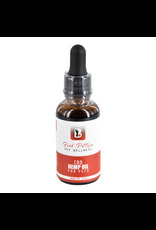 Dog & cat CBD Hemp Oil for Pets - 300 mg - 30 ml - Rick's Pet Stores Inc.
CBD Hemp Oil for Pets - 300 mg - 30 ml Human grade Introducing CBD Hemp Oil for Pets by Brad Pattison Pet Wellness, an innovative medicinal formula containing the highest quality human grade CBD. This oil provides pain and anxiety relief, soothing nervous pets and easing pain resulting from old age or sickness. 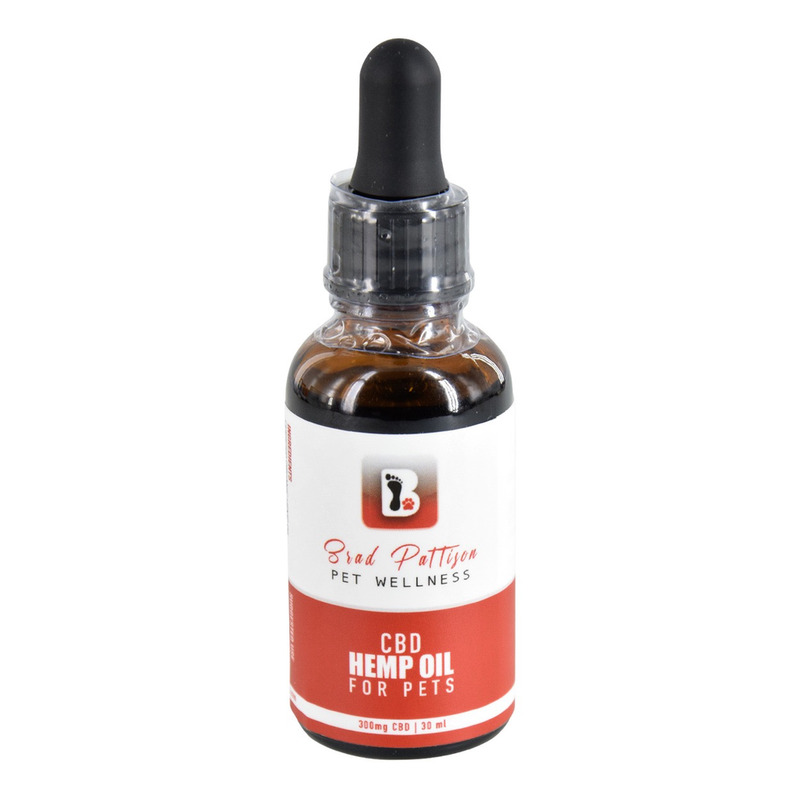 CBD has also been found to help with epilepsy, inflammation, nausea, heart disease, neurodegenerative disease, and inflammatory bowel disease. Composed of 100% natural ingredients, with no preservatives, additives, or unwanted side effects. Great for both dogs and cats! Suggested Serving: 0.1 ml per every 10 lb of dog's weight Example: 25 lb dog = 0.25 ml Just like you, we love our pets and are devoted to ensuring the best quality of life for them. We’re here to make a difference.Our innovative formula contains human grade ingredients with the highest grade CBD. We pride ourselves on our customer service and unique product line. We carefully produce, package and test products the same way, each and every time to ensure quality and consistency. Brad Pattison Pet Wellness offers 100% natural ingredients free of preservatives and additives with no unwanted side effects. STORAGE: Store in a cool, dry place, refrigerate after opening.